Sometimes we could all use a little extra privacy, especially if we have children in our backyards. There are many ways to accomplish this for our yards. Privacy fences are a good way to go. There are many options, from wood, bamboo, lattice or brick fences. 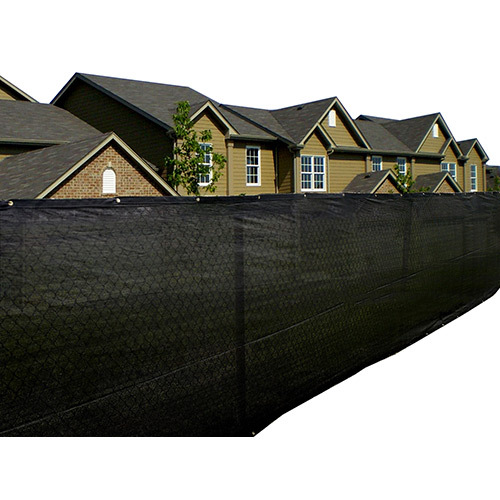 If you already have a chain-link fence a fence screen mesh tarp is an ideal way to add an extra layer of privacy to your backyard, or even your swimming pool are or work site. Besides adding privacy, these fence tarps provide shade protection, and they allow the summer breezes through. The tarps are fifty feet long and come in either six or eight feet heights so you can choose the level of privacy you need. Grommets are placed every twelve inches to allow for a secure attachment. They also come in a several different colors to match your landscape and aesthetic needs. White or blue would work well for a swim area. Green or tan might be a nice addition for your yard, and brown or black for a work area. The tarps also provide shade protection. They are made of tightly woven mesh fabric that provides 87% shade protection and can help prevent reflected sunrays. The tarps do all this while still allowing the breeze through. We specialize in tarps and canopies of all kinds and are prices are very competive. If you are looking for an inexpensive way to add privacy to you yard, patio work site or other area, please contact us. This entry was posted in privacy fence, privacy tarps and tagged privacy fence screen tarps on November 9, 2015 by CanopiesAnd Tarps. On March 20th, astronomical spring will come to the northern hemisphere. Most people recognize it as the first day of the season or the equinox. When it happens, well all have at least 12 hours of daylight to enjoy with our friends and family. Plus, we can count on the sun to be located within 90-degrees of due north every time it rises or sets for the day. There will also be UV-rays to contend with, which bring us to one of our favorite topics, mesh shade tarps. As the American Skin Association readily points out each year, the human body can only withstand so much UV exposure before problems arise. So, they always recommend that people take appropriate precautions to reduce their risk of developing burns to the skin and eyes. In our experience, mesh shade tarps fall squarely into the precaution category. Theyre designed to block 73 to 90% of the rays beading down on us from the sky. Consequently, that leaves only a small amount of rays to worry about. They can easily be handled with other precautionary measures, like protective clothing, sunscreen, enclosed footwear and broad-brimmed hats. In addition to mesh shade tarps, there are privacy fence tarps available too. Theyll block at least 87% of the rays that may bounce off of other objects and hit the body from the side. Plus, each stretch of fence runs 50-feet long and stands either 6 or 8-feet high. Thus, theyll help hide backyard activities from others view throughout spring, summer and fall. And for all of you landscape designers out there, dont worry. 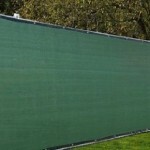 Our privacy fence and mesh shade tarps come in an array of attractive colors too. 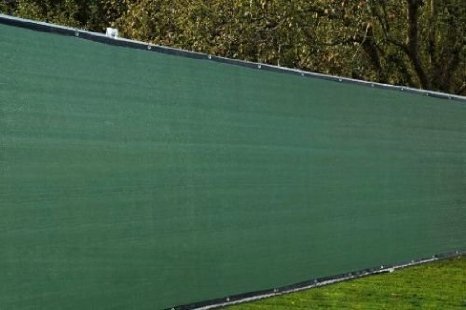 To learn more about outfitting your property with mesh shade and privacy fence tarps before the suns UV rays reach full strength, please contact us today. This entry was posted in fence tarp, privacy fence, privacy tarps and tagged privacy mesh tarps on March 27, 2015 by CanopiesAnd Tarps.